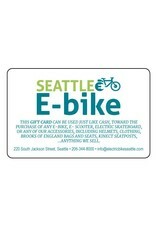 Can't find the right gift? Running out of time? Don't panic! 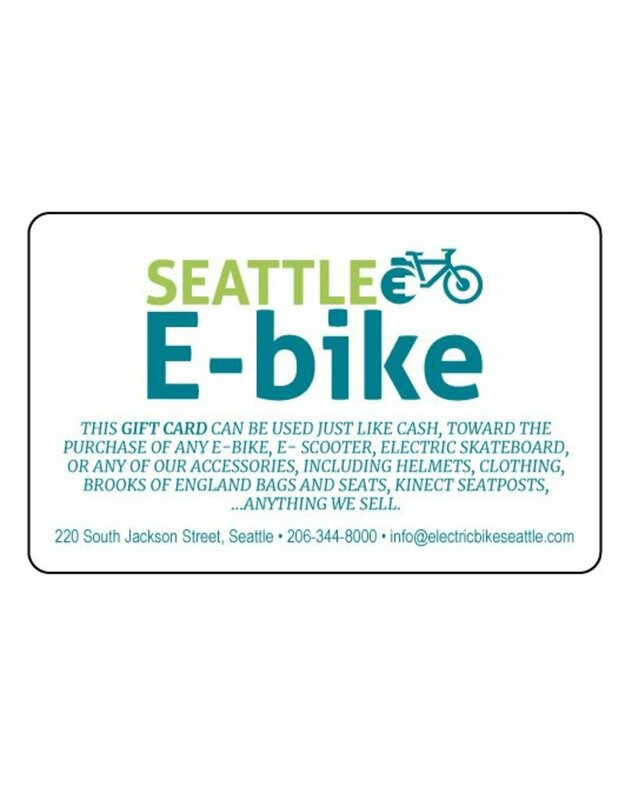 You can buy a Seattle E-Bike Gift Card in any denomination by calling the store or stopping by. Or, you can simply select a denomination from the drop-down menu above.